SCVHistory.com LW2748 | Newhall | Entrance to William S. Hart Park ~1958. 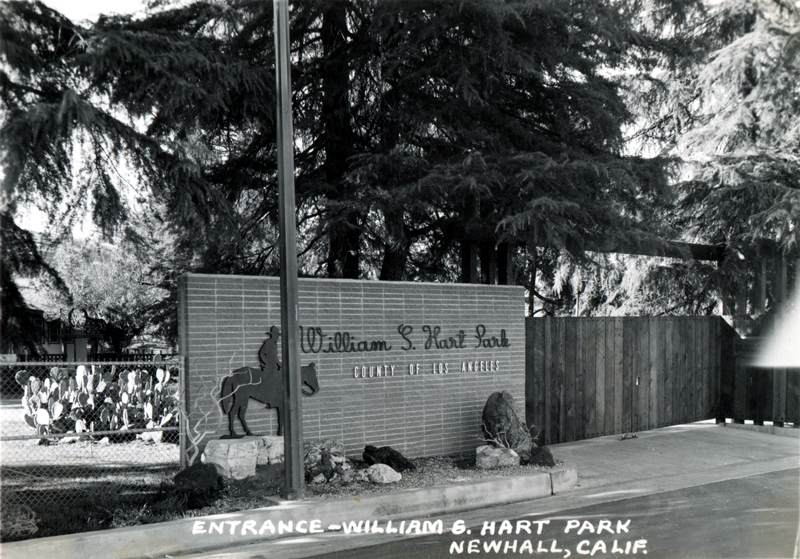 Entrance to William S. Hart Park when it was new, circa 1958. Undated real photo postcard. The silent screen star died in 1946 and left his Newhall ranch property to the county of Los Angeles for the enjoyment of his fans, but it took a long time to settle his estate. The property was finally dedicated as a county regional park Sept. 20, 1958. LW2748: 19200 dpi jpeg from RPPC.